BOSTON, Massachusetts — Freehold Communities, developer of vital masterplanned communities nationwide, has received five Awards of Merit (the top vote recipients) by 2018 Gold Nugget Awards. 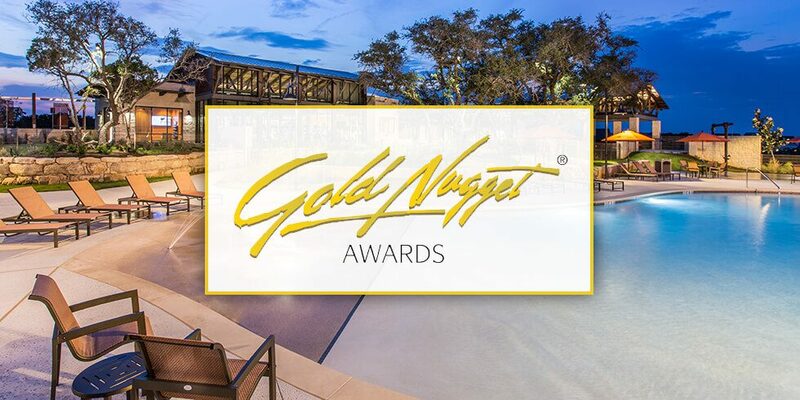 PCBC’s Gold Nugget Awards are presented annually to the best innovators in design, planning and development. The competition is open to builders, developers, architects, and land planners with communities and projects across the United States and internationally. One Grand Award winner in each category, as well as the coveted “Home of the Year” award winner will be announced at a marquee event on Thursday, June 28, 2018 in San Francisco. PCBC is the nation’s largest regional conference and trade show for the real estate development field. Headquartered in Boston, and founded in 2013, Freehold is currently developing eight masterplans throughout the United States, five of which opened in 2017. Miralon in Palm Springs is one of the largest emerging “agrihoods” in the U.S.
Best On the Boards Site Plan – Miralon: This sustainably designed Palm Springs community – one of the largest “agrihoods” in the U.S. – has received national attention. Miralon allows 1,150 Modernist-inspired residences to harmonize with the Coachella Valley’s architectural heritage. A highlight of Miralon’s 300 acres is its transformation of an 18-hole golf course – built but never played – into working olive groves and community gardens. The 97-acre open-space plan repurposes the former golf course into groves and parks, including more than 70 acres of olive trees. Olive oil from the orchard will be pressed on-site, and fruits and vegetables from the community gardens will go directly to the tables of residents. Evolving the existing golf course into habitat-sensitive, agricultural open space is a response to the precious resources of the Coachella Valley including its need for water. All homes at this “eco-Modern” community will be built with solar panels as a standard feature. Best Community Land Plan – Headwaters: The Headwaters master plan employs an enlightened, preservation-development approach to land that is rich in history and scenery in the heart of Texas Hill Country. Working with the original owners of the land and the surrounding community, Headwaters designers crafted the community to preserve the natural landscape, protect the Barton Creek watershed and provide for the well-being of the people who call it home. The plan preserves over 1,000 acres for parks and open space, with miles of trails. The land plan allows each home back-up to open space, while preserving the hilltops for magnificent views and natural contours. It also strictly limits impervious cover so that rainwater is absorbed into the soil and vegetation. And Headwaters limits the number of homes to 1,000. Forward-thinking design guidelines encourage the use of native species and home designs that respect the history and natural resources of the property. Best Community Land Plan – Shearwater: Designed to celebrate its location alongside pristine Trout Creek, Shearwater embraces habitat preservation and human activity – together – through a thoughtfully executed master site plan. It comprises approximately 1,500 acres with over 2,600 residential units. The arrival and central spine road are positioned alongside mature landscapes and natural conservation areas. Intentionally narrower than standard roads, the spine throughway was negotiated and approved by St. John’s County. It accompanies an expanded multi-use trail that gives pedestrians and bicyclists the highest priority in the community’s transportation hierarchy. In each village, cul-de-sacs act as trailheads to open spaces, connecting homesites with the natural landscape. The recreational center offers robust social, aquatics, fitness, play and tennis amenities. The network of trails connects open spaces throughout the community, offering picnic areas, dog parks, creek-front overlooks, and a kayak and canoe launch. The community enjoys an extraordinary commitment to outdoor recreation, nature, wellness, and quality of life, attracting a multi-generational population. Best Indoor/Outdoor Lifestyle for a Community – Headwaters: Headwaters harmonizes unique community amenities with its beautiful natural setting. The Hub coffee bar and co-working space, for example, serves as the main indoor gathering area. Its walls of floor-to ceiling glass offer inspiring Texas Hill Country vistas from a building that feels like it might have served the ranch that originally formed this property. In the same way that these spaces bring the outdoors in, the vast open spaces and parks incorporate the structures of the original ranch building. This approach includes Headwaters’ Star-Gazing Amphitheater – part of its Homestead Park – one of the most distinctive amenities of a masterplanned community anywhere in the United States. Perched atop a protected hilltop in the center of the community are the remnants of the original ranch home of the Townes family built in the last century. It has been partially deconstructed, revealing stone masonry no longer seen today. Best Indoor/Outdoor Lifestyle for a Community – Shearwater: Shearwater combines abundant recreational amenities with a wealth of social spaces. At the heart of this nature-themed community is the Kayak Club, the inviting hub for all residents. Design highlights include generous millwork and modern twists on nostalgic architectural character. Inside is The HUB Wi-Fi café, a child activity room, a Fitness Lodge with multiple dedicated rooms, and much more. Then there are the outdoor amenities. With no locking door, the clubroom allows open access through an ingenious “firefly-jar” iron portal. The many recreational amenities include a resort-style pool with three-story waterslide, a Junior Olympic competition lap pool, and a lazy river, all set within lush landscaping and spacious lounge areas. The natural open spaces include trails, parks and preserved habitat, including Trout Creek with kayak and canoe access. Even the homes connect indoors and outdoors. Some floor plans feature multi-slide doors flooding the room with natural light. Other homes offer doors that collapse to create a seamless transition from living room to the spacious outdoors. Freehold Communities is developing over 10,000 residential lots in Texas, Tennessee, North Carolina, Florida and California. We create Vital Communities™ that embrace healthy living, engagement, connectivity, stewardship and distinctive home design. As we evaluate opportunities, we focus on the right planning, the right properties, and the right partners. We begin with comprehensive research to gain insight into the unique needs, trends and preferences in the local market. We then carefully consider each property to determine how we can maintain its beauty and character as we create a Vital Community™. Finally, we partner with quality, creative builders who share in our philosophy by offering niche solutions and unique, timeless designs.